British architecture studio Foster+Partners will be handling the refurbishment of the historic Commodore Criterion Building in NoMad New York. Spanish kitchen/tile company Porcelanosa has purchased the Criterion building to serve as their US headquarters, and will be maintaining the historic exterior while refurbishing the building. Foster+Partners is headed by superstar architect Norman Foster. Born in Manchester, UK in 1935, Foster has ascended to legendary status within the field. He even received knighthood in 1999, and took on the new title of Lord Foster of Thames Bank. This will be Foster+Partners’ first project in NoMad New York. 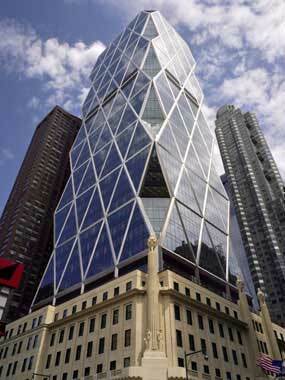 They are known in NYC for their work on the Hearst Headquarters Tower. Other famous works worldwide include the Beijing Airport (largest single building in the world), Dresden Railway Station redevelopment, Boston Museum of Fine Arts and the Great Court at the British Museum.